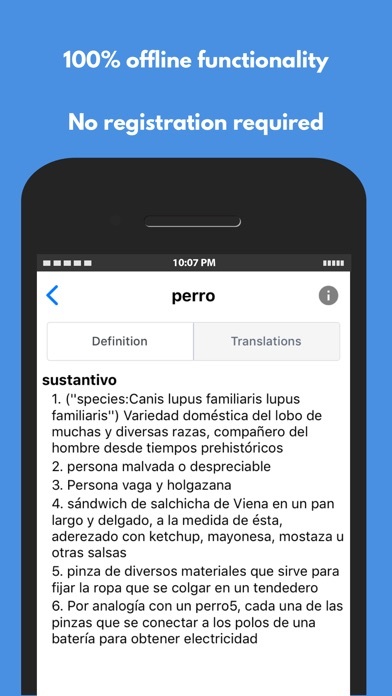 Full definitions and translations, available offline without WiFi or cell phone network! 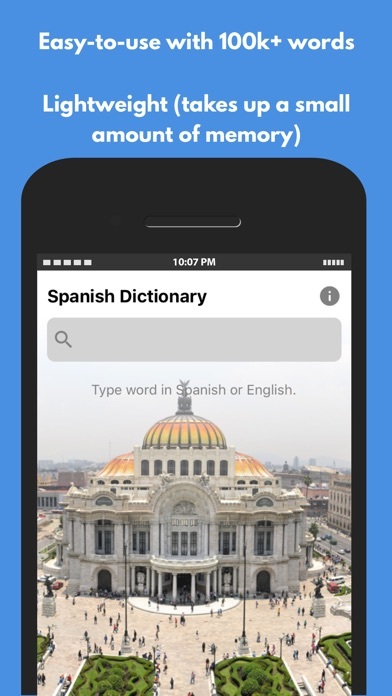 Spanish Dictionary allows you to quickly and easily lookup the meaning of words and even see translations. 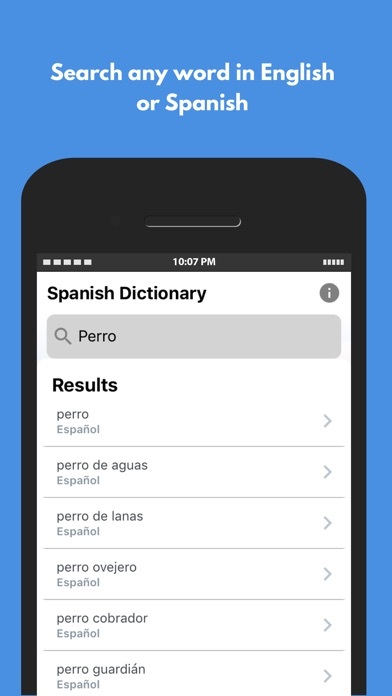 As you type, suggestions appear in both English and Spanish so you can search in both languages. 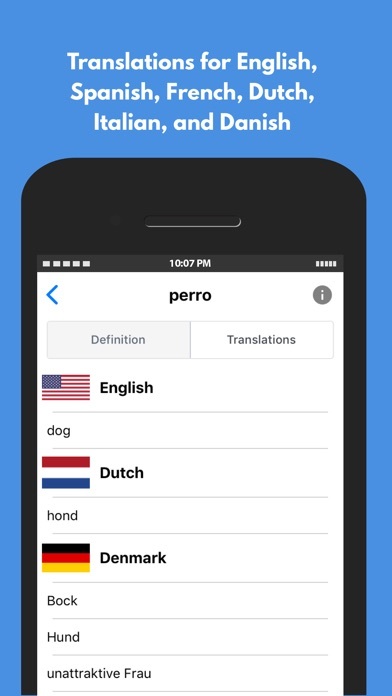 Select any word to see its full definition plus additional translations in French, Dutch, Danish, and Italian. 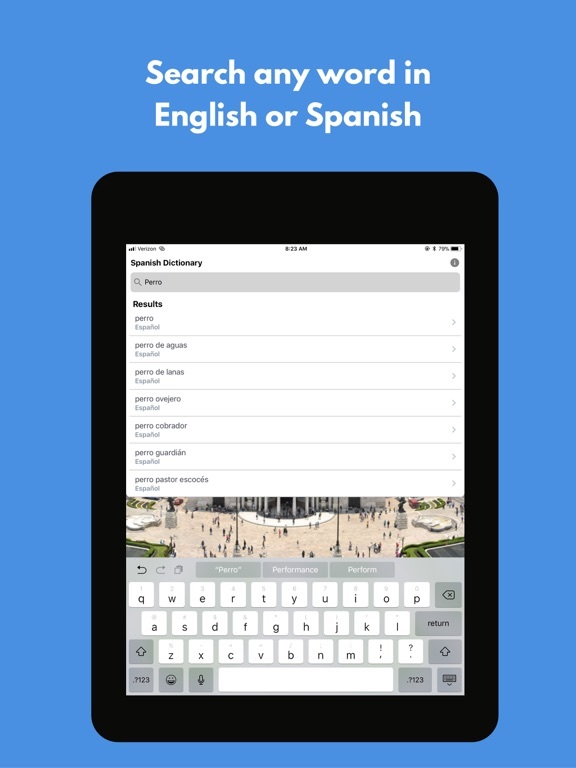 Why download a bulky dictionary app when you can get your answers fast with an offline mode built in. 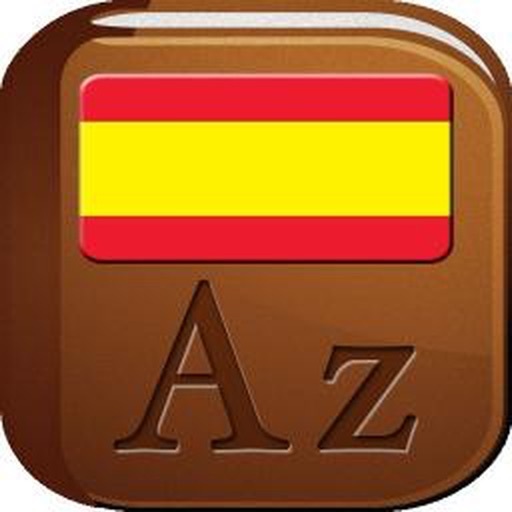 * Brand new Spanish Dictionary release with 64-bit support. * Completely re-written to optimize for speed, increased functionality, and a fresh new design. 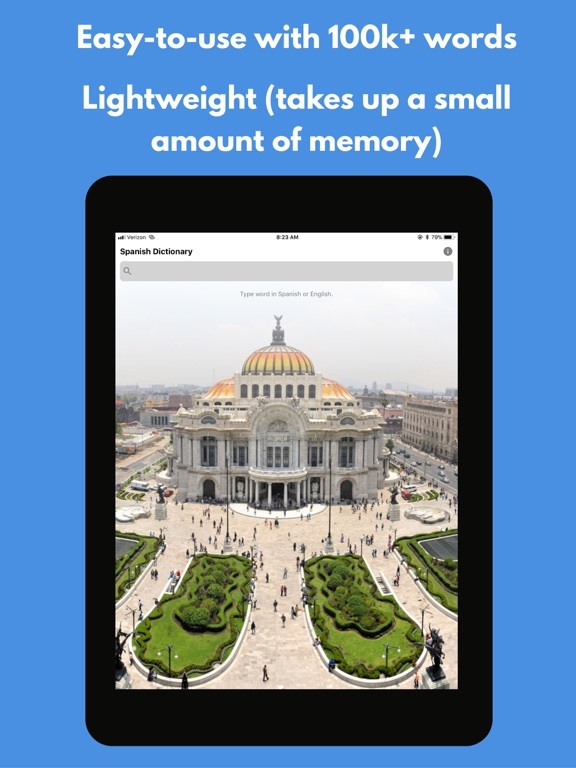 * Added 40K new definitions. * Added keyword search in English language. * Added launch screen graphics.